With the starters and reserves named for the 2019 NBA All-Star game, it's time for teams to be picked. 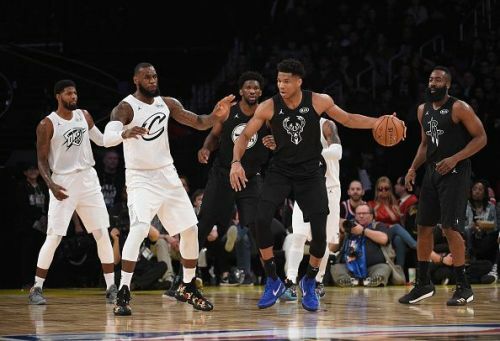 The NBA All-Star Draft will be held live for the first time on February 7, 2019. Last year, teams were chosen by the designated captains of each conference, but the event was not televised. The two top players from the fan voting, one from each conference, were chosen as the captains. LeBron James led votes in the Western Conference and Giannis Antetokounmpo in the Eastern Conference. While there were little to no discrepancies over the starters that were selected, the same could not be said in regards to the reserves. Players such as DeMar DeRozan, Rudy Gobert, Jimmy Butler, Donovan Mitchell, Tobias Harris, and fan favorite Luka Doncic, all have arguments on being snubbed as an All-Star this year. Besides Doncic's Mavericks, all the others' teams are in a playoff position with the second half of the season approaching. Nonetheless, they will have to wait until next year for another chance. Antetokounmpo is likely to have Stephen Curry, Kevin Durant, Joel Embiid and Paul George alongside him in his starting lineup. His reserves could be LaMarcus Aldridge, Bradley Beal, Blake Griffin, Damien Lillard, Khris Middleton, Nikola Vucevic, Russell Westbrook and Dwyane Wade. During his post-game interview, after his team beat the Washington Wizards, Antetokounmpo stated that he would take Curry with his first pick from the starters pool and his teammate Middleton with the first pick from the reserve pool. Antetokounmpo's team will be interesting. It could be filled with shooters in Curry, Durant and George, the high-flying dunking ability of Antetokounmpo himself and Griffin, solid players in Aldridge and Embiid, and the quickness of Westbrook and Lillard. Added entertainment would be provided if Westbrook and Embiid are on the floor at the same time. They are expected to keep things professional and not let their off-court issues take a toll on the team. James actually has the first pick in the draft. Predicted to share the spotlight with him as starters are James Harden, Kyrie Irving, Kawhi Leonard and Kemba Walker. 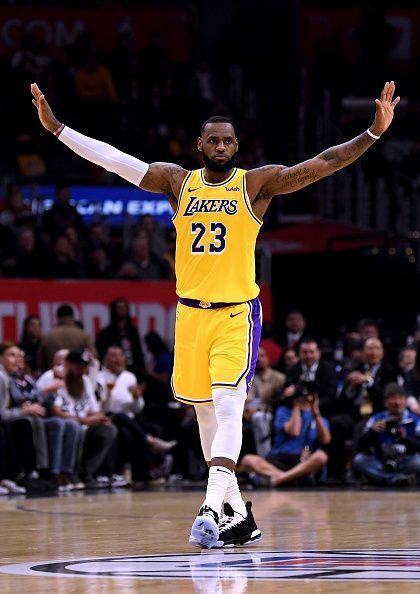 His reserves could be Anthony Davis, Nikola Jokic, Kyle Lowry, D'Angelo Russell (via injury to Victor Oladipo), Ben Simmons, Klay Thompson, Karl-Anthony Towns, and Dirk Nowitzki. Due to recent trade talks and upcoming free agency next season, it wouldn't be a surprise to see James draft Leonard, Davis, Walker, and Irving. This could be time well spent for James as he attempts to recruit players for the Los Angeles Lakers next season and beyond. James' team could be filled with more guards. The team would be equipped with passers to assist with ball sharing, multiple shooters requiring double teams, and great outside players that will bring defenders out of the paint. Depending on the flow of the game, this team can be very dominant. This could also be the last time we see Davis representing the New Orleans Pelicans. If not traded before the All-Star game, he could sit out the rest of the season for the Pelicans. Will LeBron be as predictable in the draft as everyone thinks? 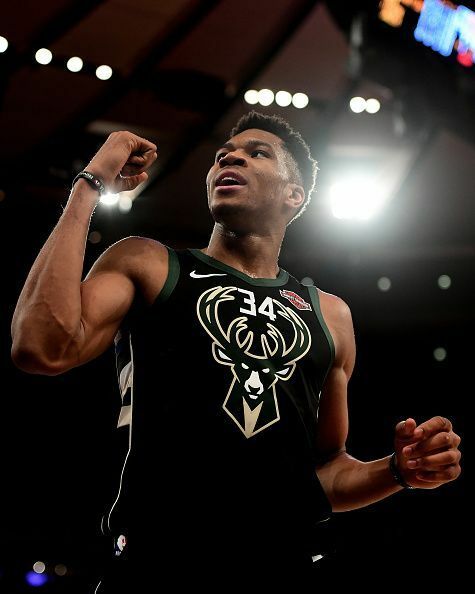 Will Giannis interfere with LeBron's draft picks since he has the second pick? In less than 24 hours, we will have our answers.